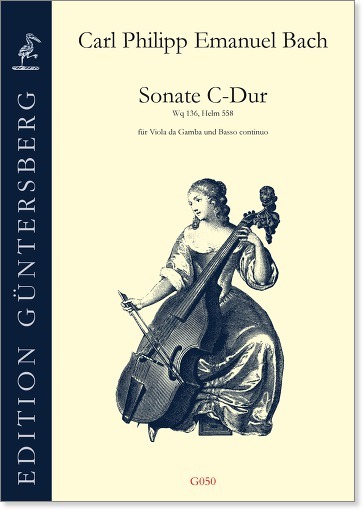 Sonata in C major for viola da gamba and b.c. This Sonata is the first of the three gamba Sonatas by Carl Philipp Emanuel Bach. Its early classical style differs greatly in form and content from baroque practice. 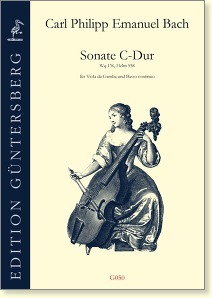 Our edition is an exact rendition of the original manuscript but includes a realisation of the thorough bass in accordance with the rules of Empfindsamkeit .